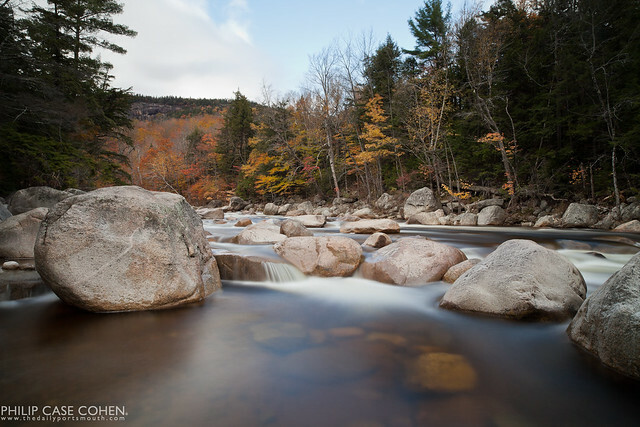 The Lower Falls off the Kancamangus Highway are a beautiful force of nature. With a few extra hours to spare, the decision was made to head north to enjoy some of New Hampshire’s world famous fall foliage. It was a gorgeous day on Saturday, and we took full advantage – traveling on meandering tree-lined roads, finding a lake, doing a spontaneous photo shoot at the falls, and finishing the day with a meal at the Mount Washington Hotel. More photos to follow throughout the week! What beautiful fall image Phil! Sounds like a great day, and looks like one, too!